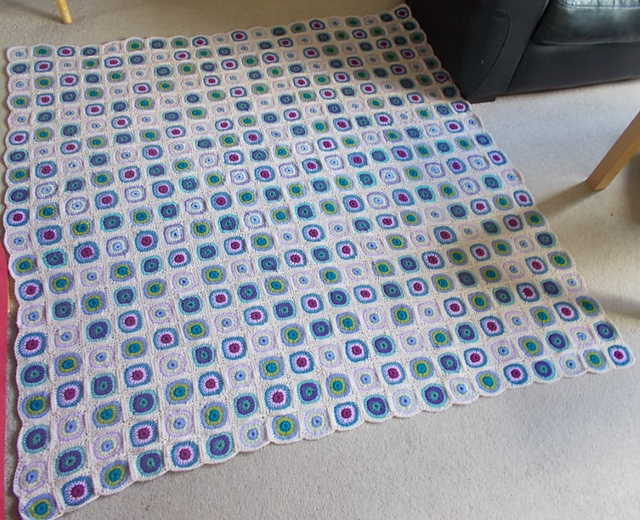 I finished this up last week, and getting around to sharing with you all! 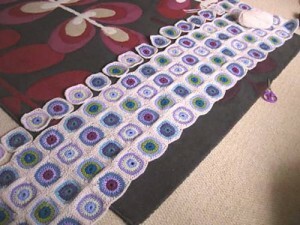 The project is a mammoth one, that I have been calling the “never-ending blanket of doom”. 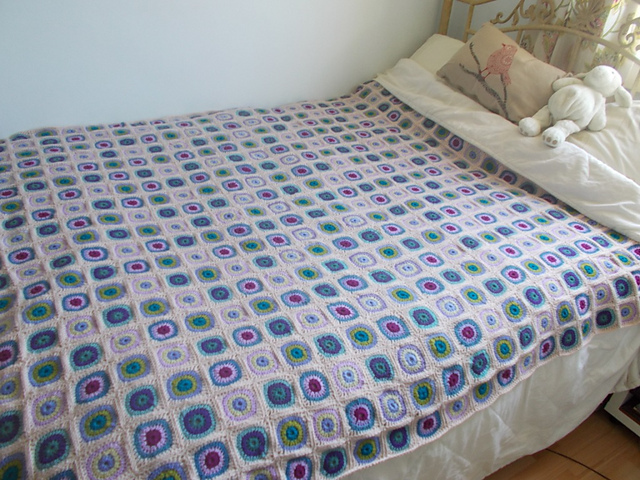 Because it was never-ending, a blanket, and I felt like I was doomed to make it forever! 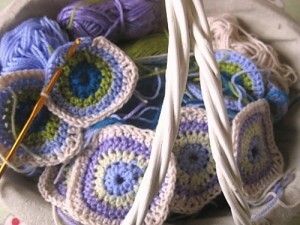 It’s crochet, and I don’t do too much crochet yet, I’ve only been learning a few years, so it was good training! Here are the little squares it is made of, with circles in the centre. 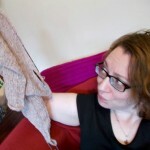 And some photos of gradual growth! 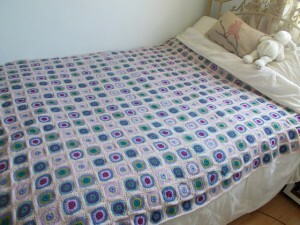 I started this one when I moved house last year, intending it as a house-warming gift to myself, for my bed. 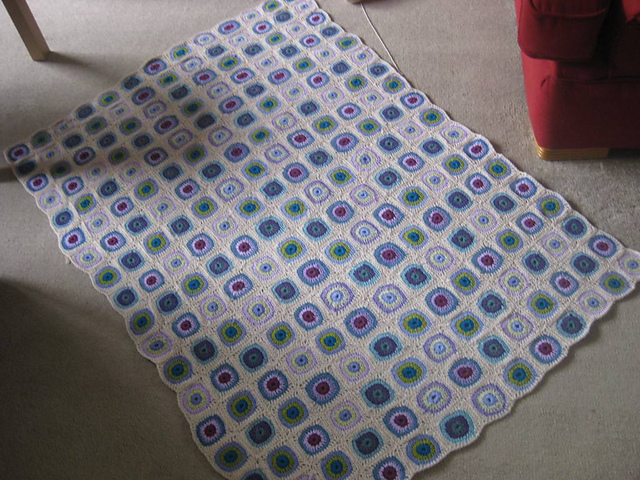 Ten months later, it was finally finished! 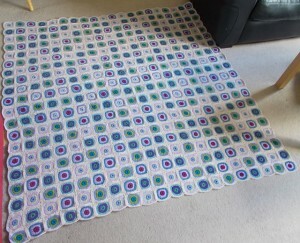 My blanket contains 440 of these tiny squares, all sewn together. I decided to sew it up as I went along and I am so glad I did that! 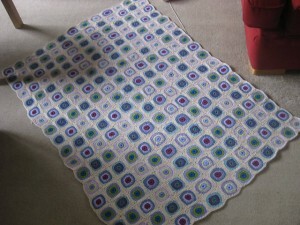 It’s finished off with one row of crochet around the edge in the background colour. 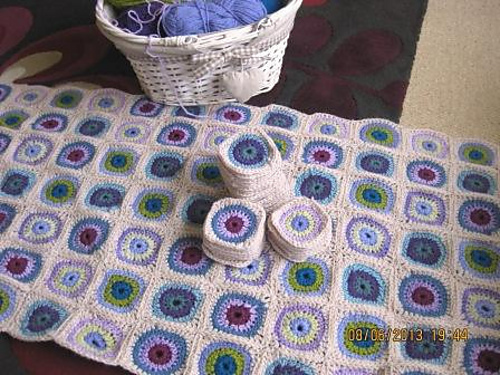 The pattern I used is Circles Crochet Blanket by Amanda Perkins of the Natural Dye Studio. 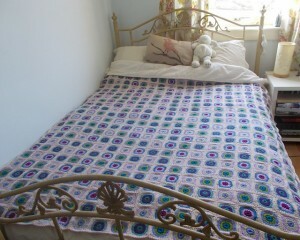 I was so tired of making it that it took me a week to weave in the one remaining end when I’d finished it! 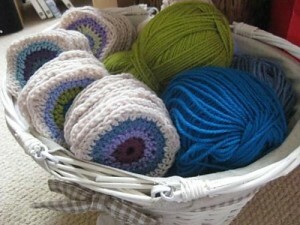 Therefore it totally counts as a recent FO right?! I can’t be the only one who has had that ONE project that feels like it will never be done, let me know what yours was!